Get ready for DPS to make a comeback. 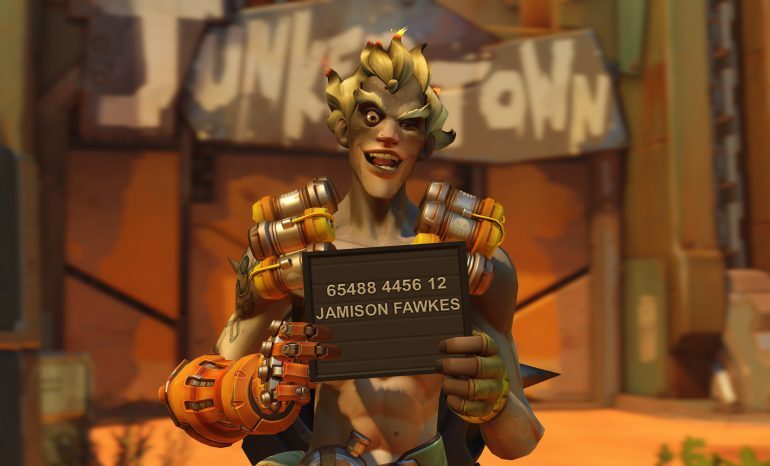 Junkrat, excited about a buff. Image via Blizzard Entertainment. Overwatch is apparently trying to bring a little bit of damage-dealing chaos back into our games. The next patch to the Public Test Realm, or PTR, includes big changes to Junkrat, Reaper, and Symmetra, as well as a few quality of life adjustments, according to BlizzTrack. Patch 1.35 will be live on the PTR beginning March 26. Junkrat already had some adjustments made to his primary weapon in the latest live patch; the damage of his Frag Launcher was increased from 40 to 50. This PTR patch increases the speed of his grenades from 20 to 25, but also reduces the amount of bounce. Grenades also will explode sooner. For Junkrat players, this means they’ll have more control over aiming their grenades. For those who are tired of trying to predict an enemy Junkrat’s damage, the developers say, according to the BlizzTrack leak, this change will “reduce the amount of rolling grenade spam when playing against [Junkrat]. Reaper’s Shadow Step is also getting a major overhaul in the PTR patch. His teleportation ability can now be used in the air, giving Reaper more opportunities to get away mid-fight. The time to exit Shadow Step has been cut in half (half a second from one second), and Reaper will be invisible the entire time he exits. This means that Reaper players can use this ability in a more tactical way and sneak up on their enemies. Railings, of all things, are feeling the heat this patch. Symmetra’s Teleporter is no longer affected by railings and Reaper’s Shadow Step will now work on breakable surfaces and objects. Does this mean the pre-game ritual of breaking every railing on Horizon Lunar Colony is over? Fans will have to find out. One small quality of life change is the option to set victory poses to “random,” much like highlight introductions. This gives players a way to use all the poses they’ve unlocked in a fun way. Profiles will also have a setting that will only allow players in your group to see your career profile. As of right now, the options are public, private, and friends-only. These changes will be available for testing through the PTR for at least a week before being uploaded to live servers. Please be sure to report any bugs or glitches on the official Blizzard forums so they can be adjusted.